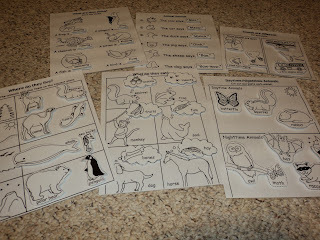 I prepared some new activities for my baby Eaton for the next 2 weeks. We will be gone for few days during Thanksgiving time. I will not have a time to prepare anything new so I did that today. 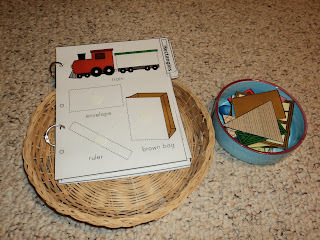 I focused on shapes, tracing alphabet letters, puzzles and counting as I see that Eaton started to show interest in counting again. I'm really glad about this. Recently I mentioned in my comments that Eaton rejected BrillKids Math so seeing him counting everything around him made me totally happy. 1) About 2 weeks ago I was working with Eaton on Same/Different; finding pairs activities. We did matching game when he specified that something looked the same and I was glad he expressed that. After that, I realized he didn't quite understand the word "different" and when I presented him some cards to identify a different picture he couldn't do it. 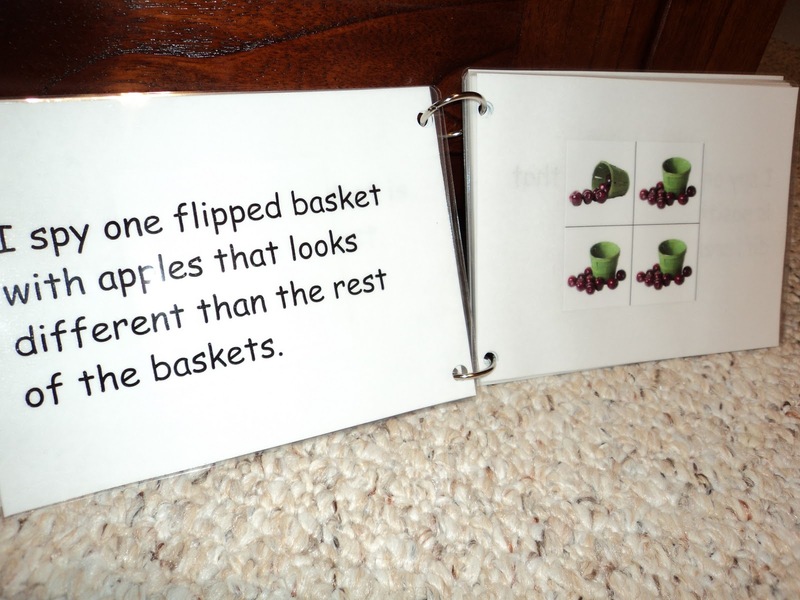 I created a book that made it easier to see the different picture. 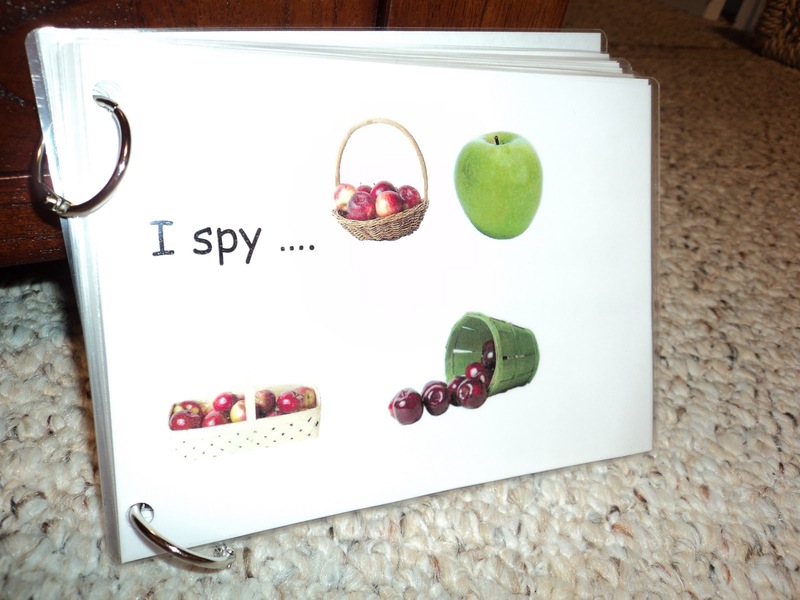 Eaton loves " I spy ...." types books, so I created one for him. Once I shown to him this book he immediately pointed to a picture that was different than others. 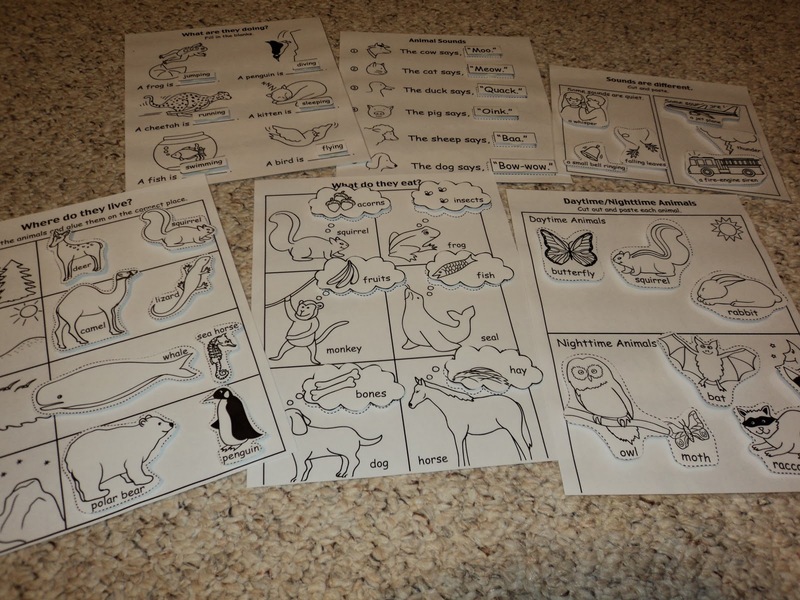 2) Animals: looking for pairs using the "same and different" words. 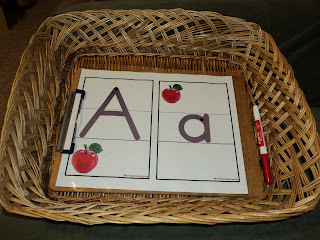 3) Tracing alphabet letters: Capital and lower case from the paid membership http://www.k-3teacherresources.com/alphabet_practice.html.I know there are other websites that have that kind of worksheets available for free. 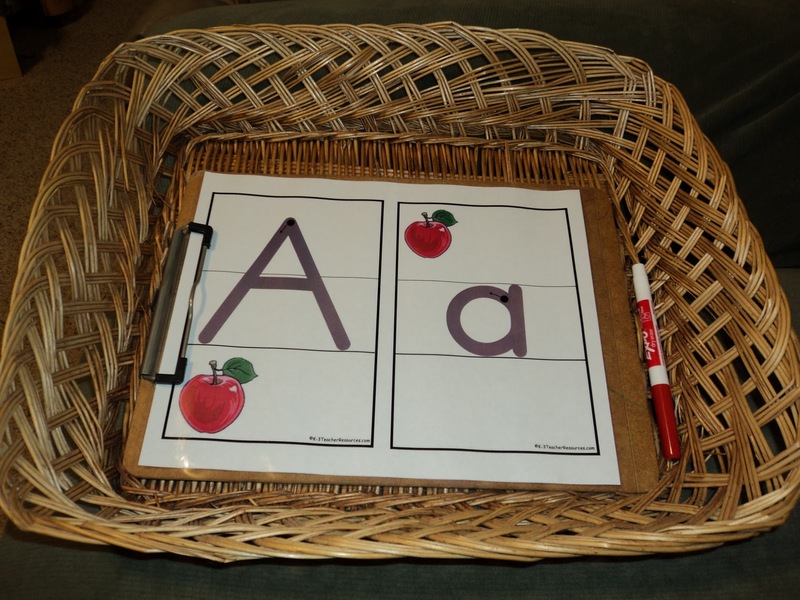 Update: I found that alphabet tracing activity. I downloaded that and now I can' t find the source. There is no website name mentioned in the worksheet so I hope it doesn't have any restrictions about distribution. 4) http://www.childcareland.com/ the same website for different counting activity. 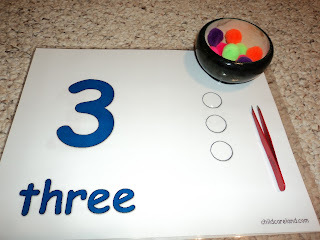 Putting pom-poms on circles with tweezers. 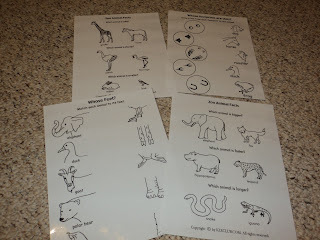 5) Besides that I printed out a lot of activities from http://kizclub.com/animals.htm. I love them all because they match activities for science I was working on today. Beside these activities are short, simple and most important Eaton enjoys doing them. 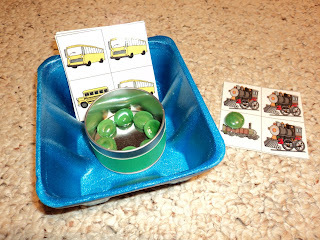 These activities require hand coordination and they are good for drawing simple lines or circles. 6) Eaton progressed to 12 piece puzzle about 2 weeks ago. I bought new transportation puzzle he enjoys a lot. 7) I bought these puzzles at Ross for $4. 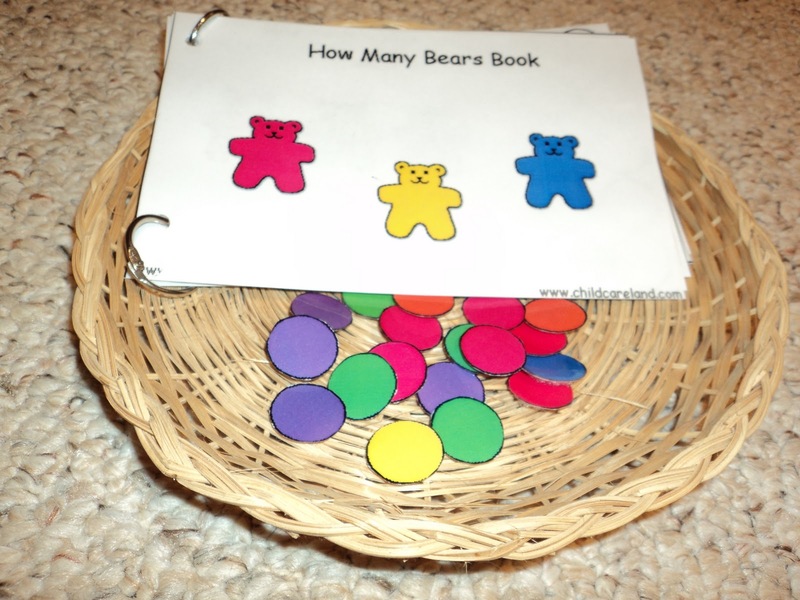 This is great activity that includes many worksheets that teach a baby different kind of shapes. 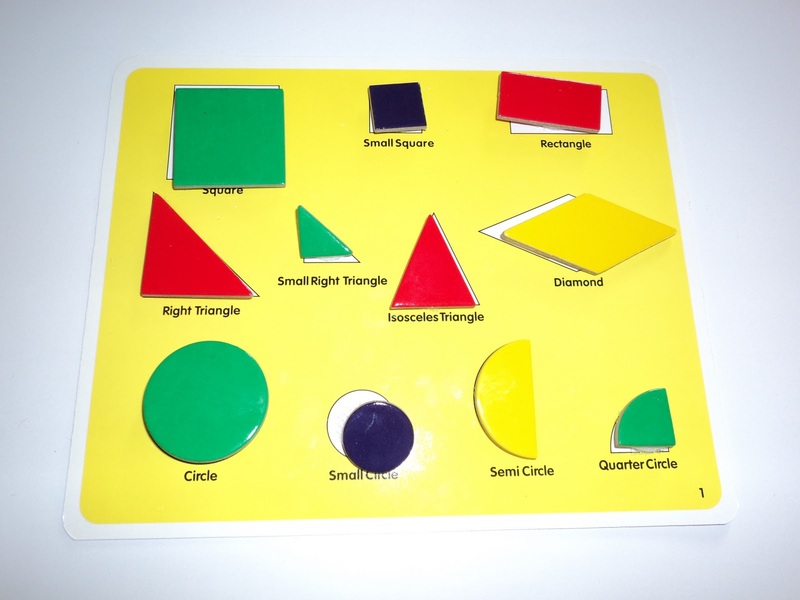 They also show that smaller shape can create bigger different shapes. 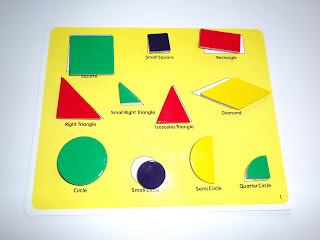 They also include some tangram activities. http://www.tlji.com/gppy-shapeshuffle.html This company provide great products. I have few of them and I highly recommend them. I have few other activities I was working with Eaton for the last 2 weeks but I will write about them in next post. I love all the activities you post. Thank you so much for sharing! I know your blog will be an invaluable resource later on as I plan to do many of these activities with my little one on the way. Marta your blog is always full of surprises. I like the way you compose your activities. 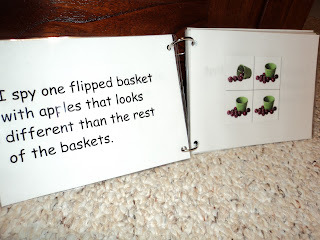 Thanks to your genious ideas I started to work on file folder games with Antek. These activities turned out to be a great hit. I've got one question concerning the Muzzy program (I saw it on one of your photos) I intend to buy one but since it costs a lot I'd like to know what you think about it? Is it worth buying? Does Eaton like it? Thank you for nice comments about these activities. When my second baby will come I plan to post some activities for new born. Ewa, I bought Muzzy when Eaton was little and he didn't show any interest until recently. I show him set in Spanish language with Spanish subtitles. The movie is very slow that's why it didn't hold Eaton's attention. It wouldn't be my first choice to buy that set if I were you. There are many other great educational dvd's that have words included. I bought that set before I new about Doman. Muzzy would be probably good for older kids but not for your Antek, who I believe is not even 2 years old. Although, I shown Eaton this Spanish version but I can't say too much now. If he will continue to watch it I will let you know. But your baby can be totally different and he can loves it. 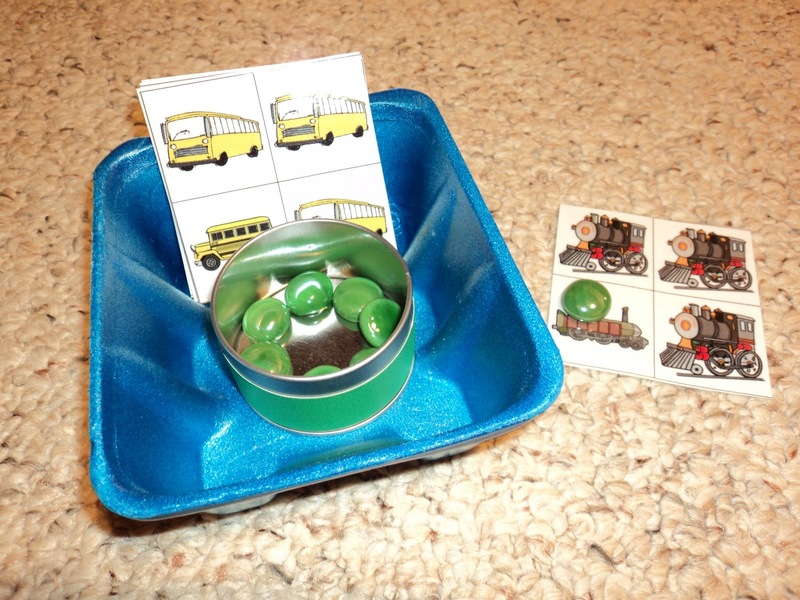 Hi Marta, I love your blog and the activities you create for Eaton! 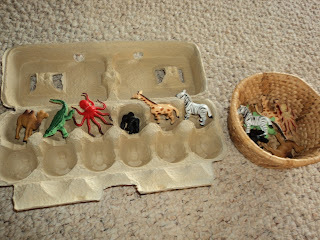 I've created a lot of the activities for my daughter too and she really enjoys them. Where did you get the shape printout with the transport pictures from? Do you know where exactly on childcare land you found the number printables with the circles? I have looked and looked! Am I just missing it? Please contact me at martusia935@gmail.com regarding this file. Thank you. I know this is very old, but I was curious as to Eaton's age for these activities. My daughter is 19 and this seems too advanced for her age, but I am curious as to know when to start something like this. Eaton wasn't not even 2 yet when he did these activities. Each child is different and you need to be the one figuring out when your daughter is ready for specific activity. I introduced a lot of topics through books first. Words like "same", "different" I introduced by reading simple books and then giving activities, so Eaton knew the concept or at least he heard about it. But his ability is amazing and my second child can not do that. Nathaniel was 2,5 when he started to do activities like that, but I also didn't work with him so intensively like with Eaton. Other circumstences of live didn't allow me to do that. Also, take into consideration "who" your daughter is. Meaning what is her way of learning. Eaton is Visual Spatial Learner so he starts to learn from hard topic first and then he goes towards deatails if the subject is interesting for him. 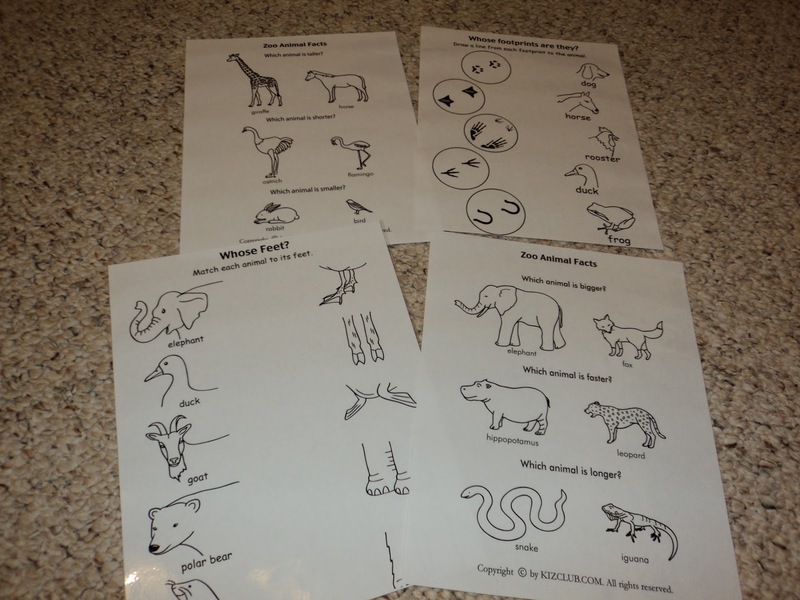 On the other hand my other boy is more Auditory/Visual Learner and he learns through step by step approach. It seems slower at first comparing to Eaton but he can achieve the same greatness :) His abilities are different and it's best to go with the calling of your child. Hello! Thanks for sharing! I went to print your book, but the pictures seem to be missing. The only picture in the file is the cover page, after its just words. Do you have the original file? Are you asking about "I spy book?"